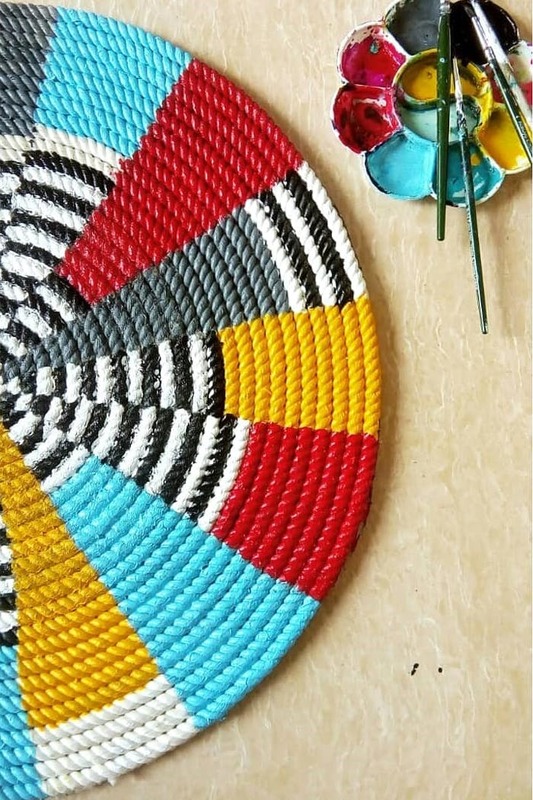 We love Pune artists who make handmade functional art for home. Saili Zade, goes by @a_lady_and_her_brush on Instagram and creates the cutest pieces you can find. Her Instagram page doubles up as a shop window, so DM her for any piece you love! Zade dabbles in all kinds of artworks. You’ll spot cute doodles, sketches and DIY Pinterest projects all over her Instagram page. But what makes it really awesome is that the Pinterest projects you love but never have time to make, Zade can easily create. We love the minion tyre seat she’s made repurposing an old tyre. And, comments of previous customers assure that it’s super comfortable to sit on too! You’ll find a range of prints and bookmarks across the feed. But our favourites are the upcycled projects. There are decoupaged, and old threads become great threat art pieces that are on frames that you could hang on your walls. Perhaps the easiest and most common thing to create among several such artists are bookmarks. But we’re not complaining because who can ever stop buying bookmarks? There are many that are worth stuffing your books with. Zade also makes hand-painted jewellery boxes and rope mats that you could use to keep your feet warm or as table mats. Zade is open to customising products based on order and prices for those may vary. The tyre seat comes at INR 1500, decoupaged bottles at INR 200 each, regular bookmarks are priced at INR 60 each, customised diaries come at INR 500 each, rope mats are at INR 600 and string/thread art is at INR 1000 per piece. Perhaps an online store in the future can help make the shopping experience smooth. Tyre seats are super trendy and make for the perfect gifts. Customise one for a close friend, they’ll surely love it.